An educational buzzword that has grown in popularity over the past decade or so, STEM is still a word that has a fair amount of mystery attached to it. Many hear this word and think of it in certain ways or certain contexts, but in today’s blog, our charter school is going to break down its meaning, and sift through the fact and fiction. 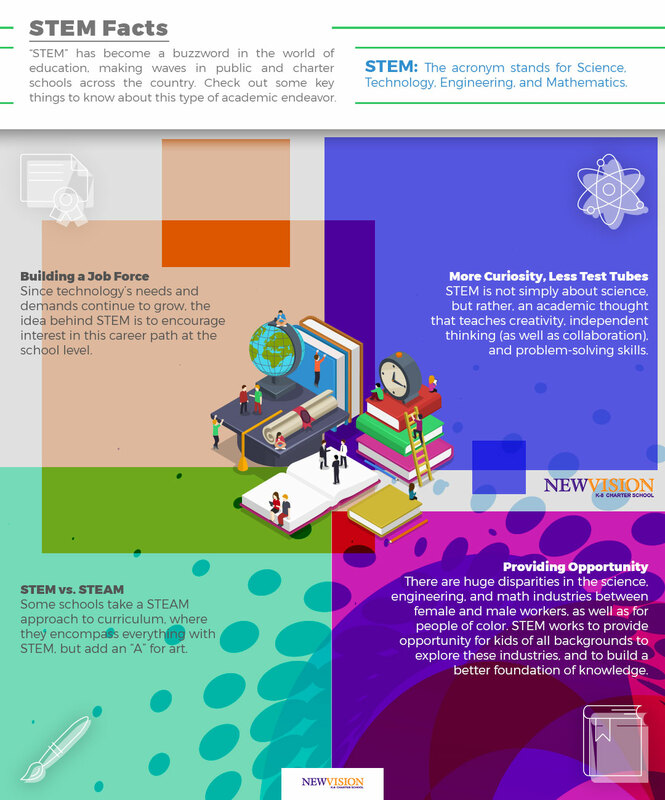 Read on to learn more about STEM — you very well might be a proponent of STEM education and not even know it. And of course, be sure to contact New Vision Charter School with any questions regarding enrollment for the upcoming academic year! “STEM” is an acronym that stands for science, technology, engineering, and mathematics. At its most basic level, STEM is a term to describe these subject matters. However, the concept of STEM goes a step further, and is an idea and method of implementing science, technology, engineering, and mathematics into everyday curriculum. Why did STEM come about? STEM picked up in classes and schools around the country throughout the past few years, and this was especially so during the Obama administration. During former president Barack Obama’s time, he put an emphasis on STEM and began turning the spotlight towards these academic areas. A big reason for this is due to the growing demand for STEM-related jobs. As our society continues to develop and rely upon technology, we need people to fill job positions in these related fields, in order to keep up. By focusing our attention on STEM as a country, we’re encouraging students and people as a whole to value these types of skill sets — and to grow in our abilities as well. Do you have to be good at science to be good at STEM? Short answer? Not at all! STEM is less about test tubes and chemistry sets, and much more about the values that are attributed to this type of industry. Problem solving, critical thinking, curiosity and ingenuity, creativity, and collaboration are just some of the focuses that are aligned with STEM activities and lessons. A simple STEM activity would simply be providing students with limited supplies, such as paper, scissors, tape, and toothpicks, and telling them to design a car. Is STEM only for boys? Less than 30 percent of all researchers in the world are women. For engineers, 92.1 percent of mechanical engineers are men. Minority women make up less than 10 percent of science-related jobs. STEM has been a push not only to encourage more people to get into these fields, but also to create more equitable opportunities for girls and students/people of color. 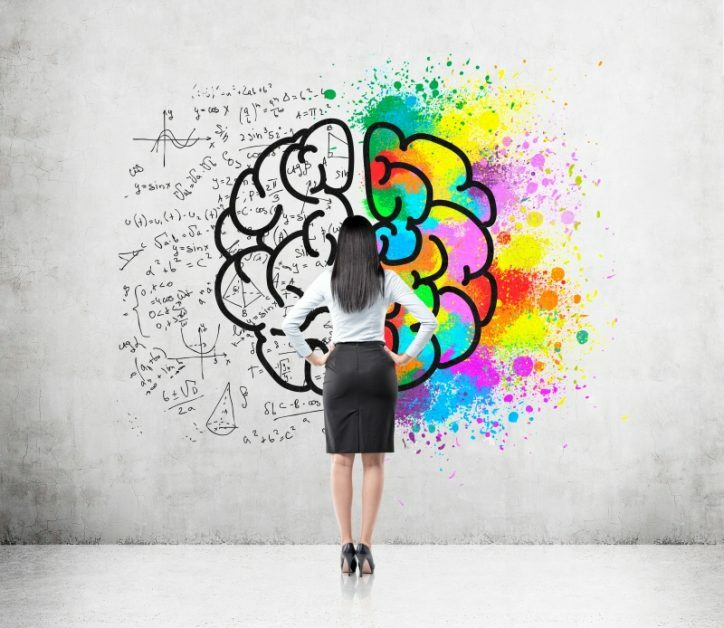 When existing stereotypes about science, math, and engineering are dispelled and discouraged, more people have access to pursue these types of jobs (and we all benefit from an additional wealth of knowledge and ideas). Does STEM leave out other important subjects? Again, the principles of STEM — such as problem solving and critical thinking — can be applied to any and every subject. So much of STEM curriculum relies on creativity and originality, which are valued in practically every capacity. But to be more specific, there are variations of STEM that incorporate other subjects as well. For example, many schools have adopted STEAM, which includes all the aforementioned subjects of study, except the “A” stands for “art.” This has been a way to continue encouraging the arts, which, historically, have always related so closely to science, but culturally are promoted as separate entities. Is STEM only available at charter schools? Design and Modeling – learn how to use solid model software! Automation and Robotics – design, build, and program solutions. Reader’s Theater – while not specific to STEM, this elective falls right into the arts and drama category, relying on similar principles. 3D Video Game Design – turn that love for gaming into a love for building games! Ultimately, STEM is a force that’s encouraging students everywhere to build their passion for learning, as well as develop and guide their creative and critical thinking skills. Our charter school is committed to providing a holistic educational experience for your teenager, and to help them study and pursue subjects that spark their interest. Curiosity is one of the greatest tools in the process of becoming a lifelong learner, and at New Vision Charter School, this is a concept that we deeply value. Your middle schooler could reach new heights and successes at our charter school — contact us today to learn more about enrollment!